Go Warriors! . . . but I like LeBron a helluva lot more than I used to. Ut-oh, the Cavs have GSW right where they want them. Aside: When I worked in a Trauma ER in Oakland it was the height of the crack turf wars and was setting records for firearms victims. We could get 6 or 7 at a time, not over the course of a shift but from the same incident. GSW = 'gunshot wound' in emergency med parlance. Ut-oh, 3-1 GSW. Crap, not again. Prediction here that refs will see that the Cavs live to play again to extend series so as to make more money for the league. I didn't watch game 4. It makes sense and is possible, but the balancing pressure comes from the fans and especially those betting millions and millions of dollars that rely on more or less legit games. Plus, the Cavs & GSW were "allowed" to sweep 5 series and the Cavs went 4-1 in the other one. We used to say, "If we're not good enough to beat the refs, we're not good enough." So far, it's looks pretty straight. Nobody is in foul trouble on either team, Golden State up by 11, but that's hardly a runaway in the NBA. Second half coming up. Whew. Good for Oakland. Maybe the sleazy refs took the 2nd quarter off. Some folks thought that Durant (39 points tonight, 34 for Curry) was overkill that would disrupt GSW's chemistry. I'm starting to think that Kerr is a genius. 16-1, the 2001 Lakers went 15-1. 3 straight championship appearances, 2 wins, 11-7 vs. LeBron who is arguably the greatest player ever (41! points tonight) - GSW has at least a case for greatest team ever. What makes you think Bannon/Trump is going to invite a bunch of black guys from Oakland anyway? They are a very rich bunch of black guys from Oakland, so there's that. He'd probably put his arm around Kerr and make the black guys stand in back for the pic. Funny you should mention. 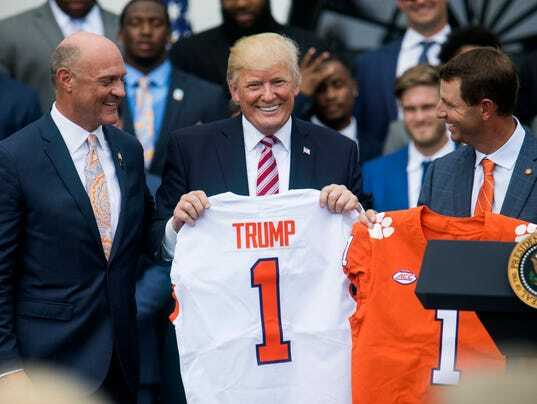 It looked like he did just that in the video on last nights Greenville news showing Clemson's visit to the White House. A very strong statement can be made before there's even an invitation. 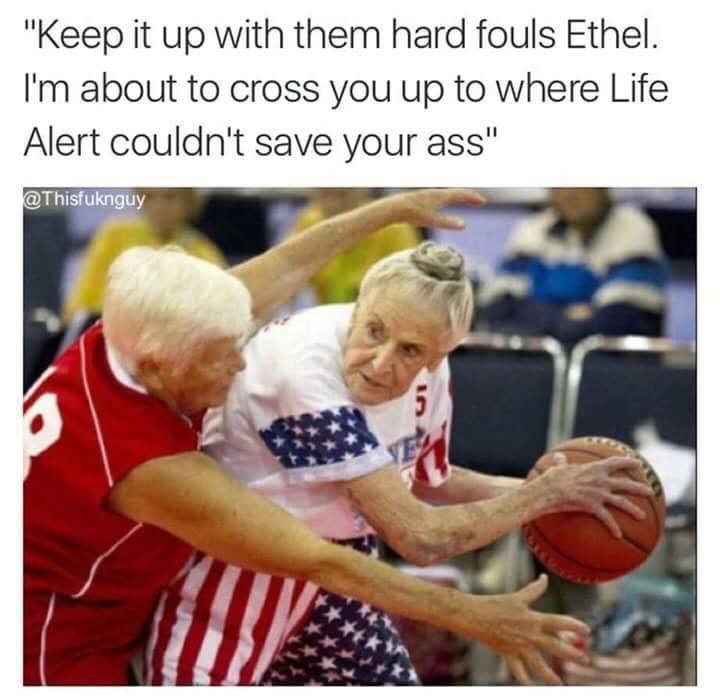 Real Americans don't play basketball. Of course not - Real 'Murcans are white.